Notes: "B.S. Williams, Victoria and Paradise, Nurseries. Upper Holloway, London." 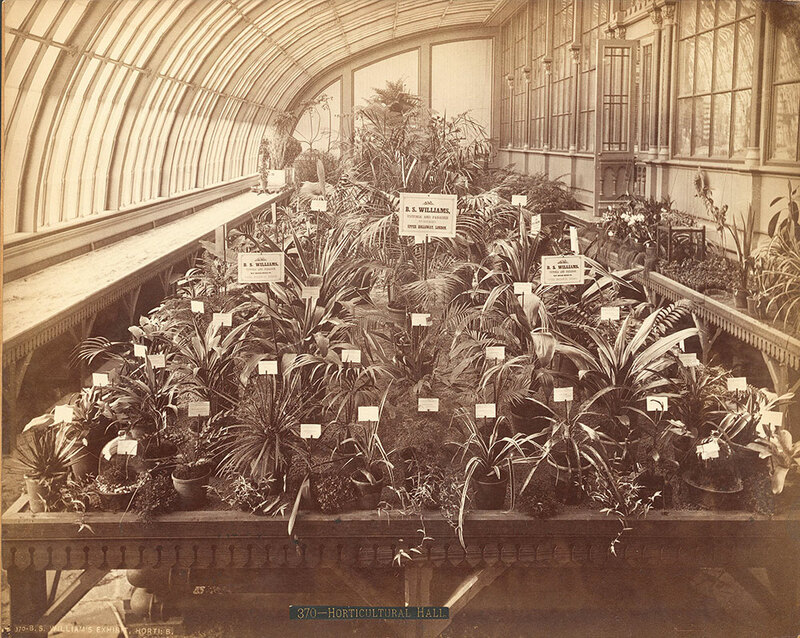 Notes: Table of labelled plants, including ferns, in pots on display inside greenhouse. Notes: Title on label: Horticultural Hall.